We always like it when we can visit two different places on one of our dates. We do exactly that this week, stopping in for beers at Tap & Six and then scooting across the street for dinner at Zuzzu. The beer menu at Zuzzu is, to be nice, lacking. They want you to order wine, and we get that. 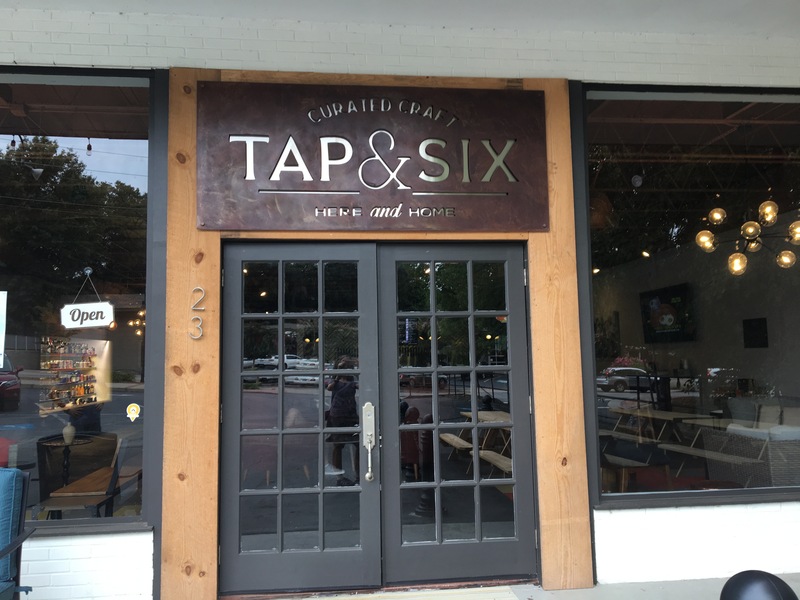 There’s also a bourbon bar across the street, but we want beer and that’s why we go to Tap & Six. This used to be a growler store, but with the change in Georgia’s beer laws they can now serve up the beers, and they let you taste two. 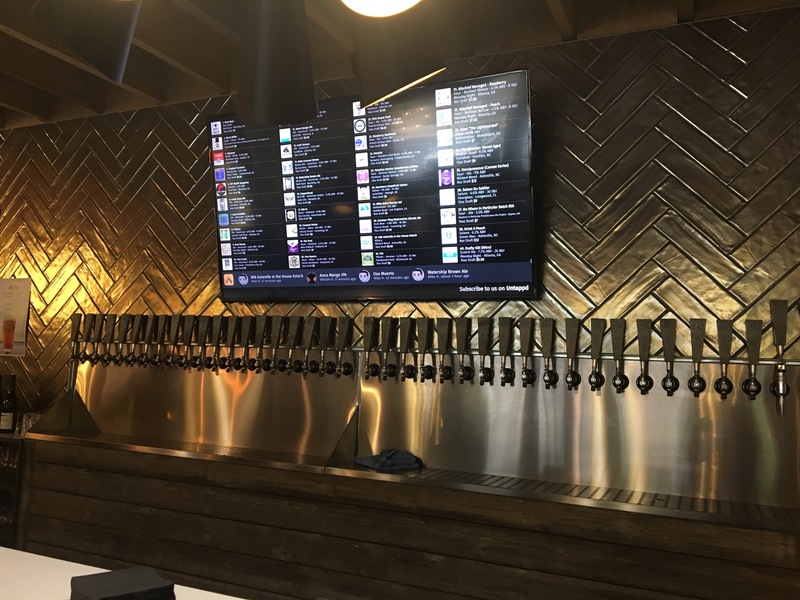 There are forty beers on the video wall, corresponding to the forty taps below. Decisions, decisions. 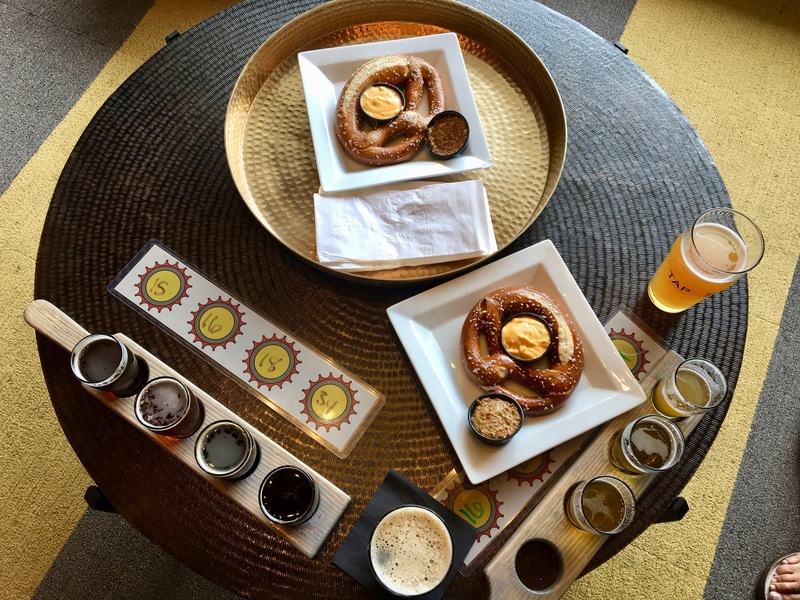 It’s hard to make a choice, so get a flight and try four. What’s left to add? 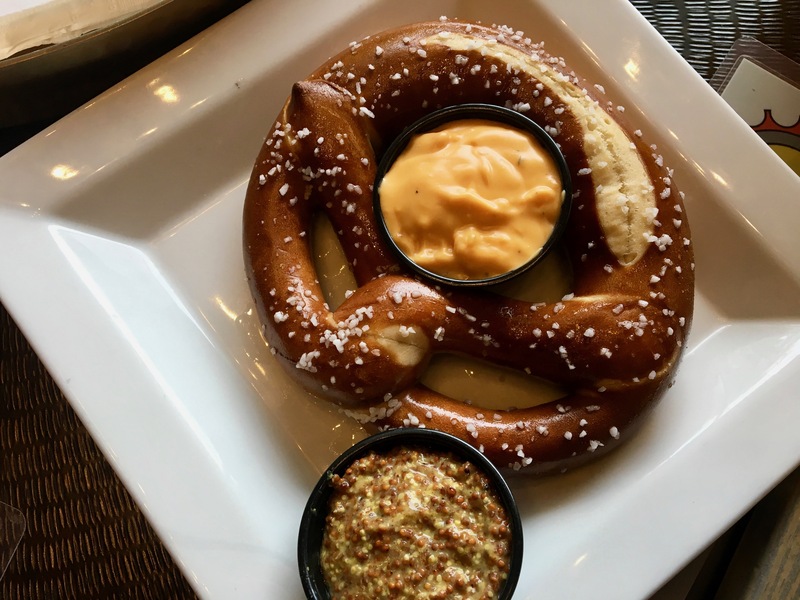 How about a soft pretzel? We are joined by Date Night and East Cobb Dining Society regulars Stefanie and Bill tonight. We didn’t drink all of this beer by ourselves, although it was so good we could have. 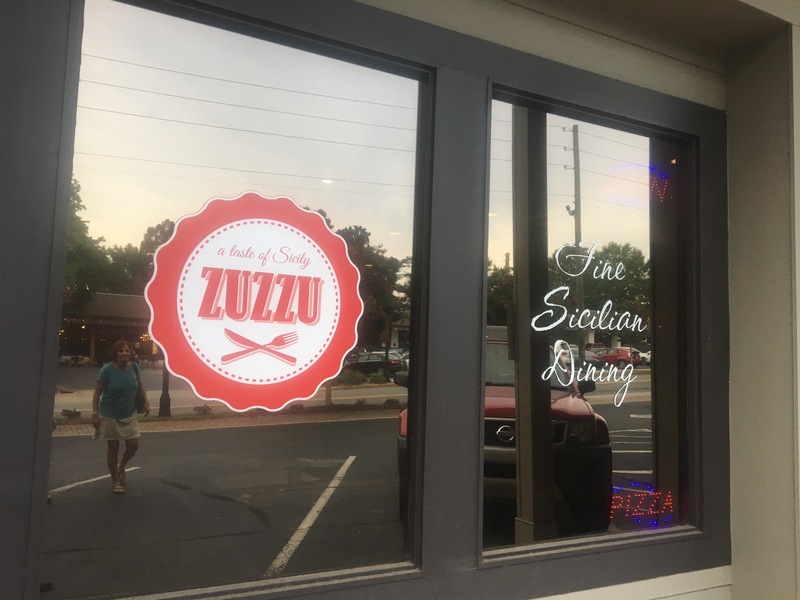 Across the street, Zuzzu has the distinction of using the most “z’s” in a restaurant name that we can think of. 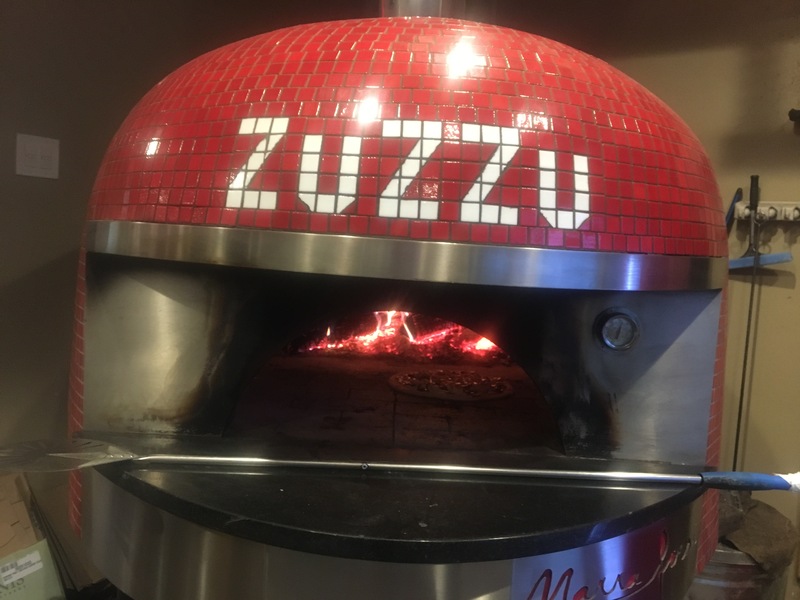 When you order the pizza at Zuzzu, not only do you get even more “z’s”, but they make it in a wood-fired oven from Italy. So we ordered the pizza. And the chicken parmesan special for the evening. And we waited, and waited, and waited. It’s not like they were busy. Besides the lady at the counter, we were the only people in the restaurant on this Wednesday night. We could have taken a nap and picked up a few more zzz’s. Anyway, almost an hour later our dinner came out. The pizza is delicious, with just the right amount of char from the wood oven. 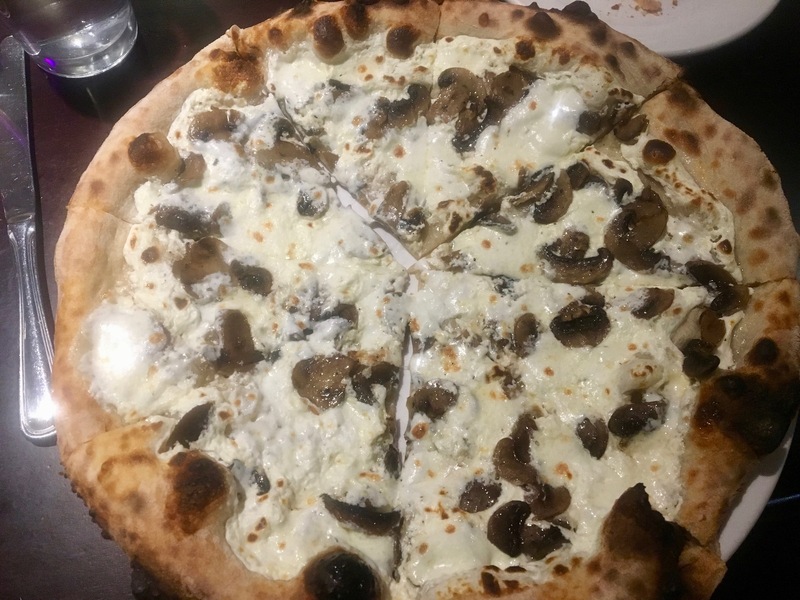 The funghi is a white pizza with mushrooms and truffle oil. The two of us could split and be perfectly happy. But wait until you see the chicken parm. 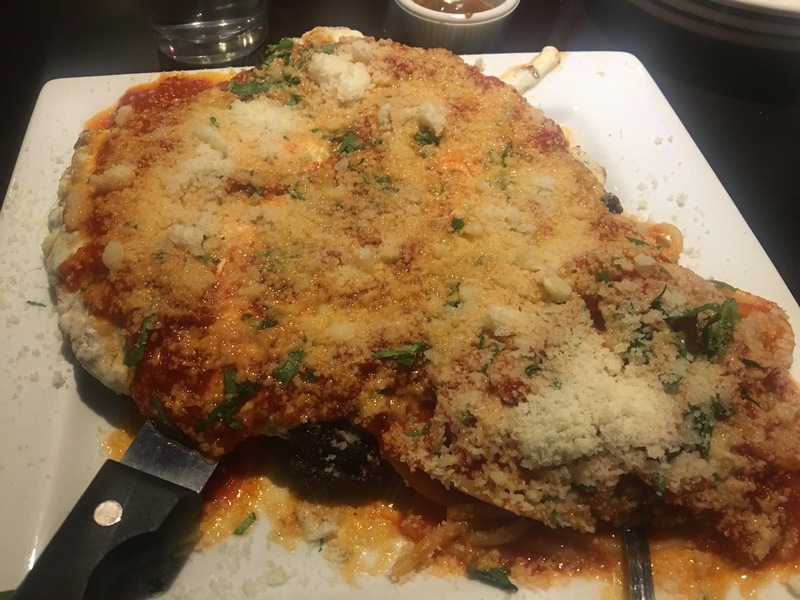 This is absolutely the hugest, largest, and biggest piece of pounded chicken that we have ever seen on the Date Night table. The biggest surprise is that it costs $28, a little high for this dish. However, we do take home all of our leftovers and get three more meals out of them, which helps to amortize our dinner. 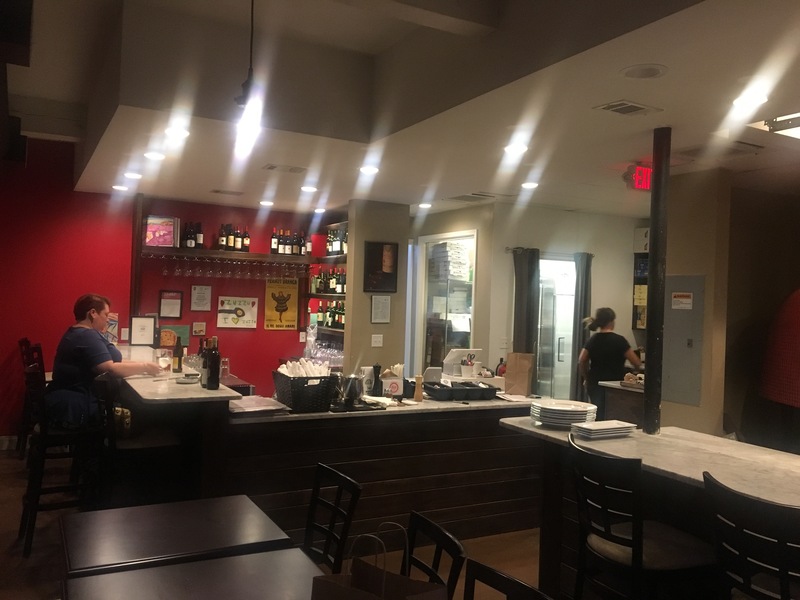 The bottom line on Zuzzu: The food is absolutely fabulous, but making people wait almost an hour for a meal does not cut it anywhere. There was never an explanation as to where our food was, nor were there any apologies. We were totally bumfuzzled. Allegedly they get very busy on the weekends. If they make their customers wait this long on Friday and Saturday, soon the razzle and dazzle will be gone from Zuzzu. There is NO pizza worth an hour’s wait, unless you are actually in Italy! ; ) We have eaten here twice (disclosure: friends live w/in walking distance) – we weren’t impressed either time. Your experience is pitiful, even if the pizza was delicious.